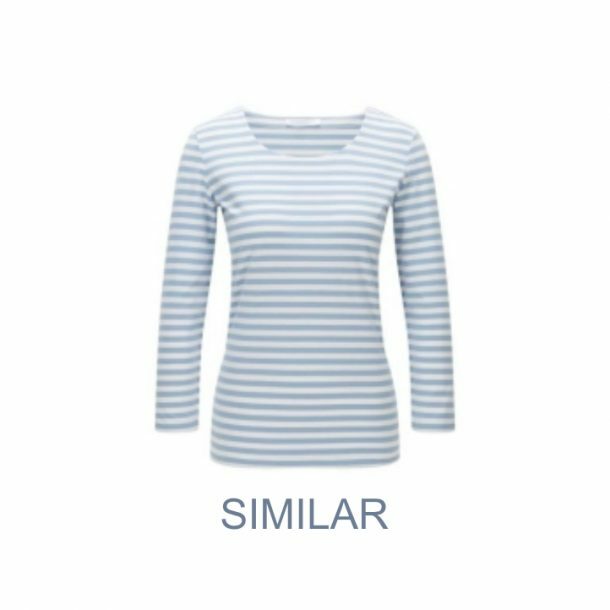 NOTE: Picture shown above is SIMILAR to Kate’s blue stripe top by Hugo Boss, but it is not the exact one. The company have not been very forthcoming with further information about the top, and we cannot find a stock photo that matches Kate’s top exactly. We assume the top is from a past season. (We know the top is by Hugo Boss because Kensington Palace confirmed this information directly).